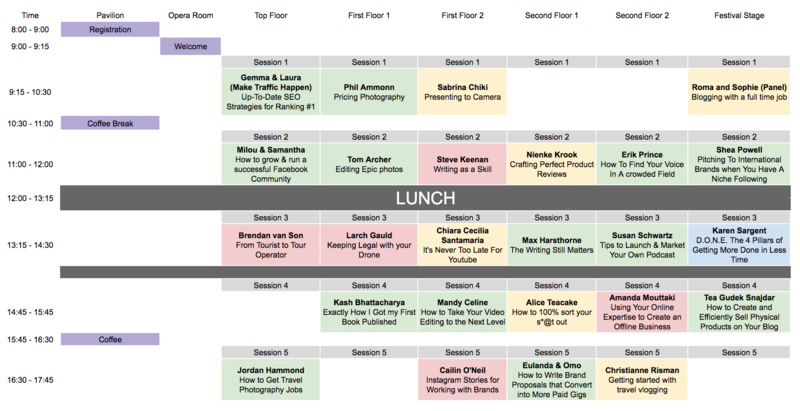 You know we like to keep attendees in the loop on everything that's going on at Traverse 19, so he's a draft schedule of the weekend sessions. Traverse is much more like a festival where have the opportunity to pick and choose where you want to be and what your focus is on (maybe it's podcasting, or SEO, for example). Sessions are usually intimate, with a focus on hands on learning. Divide and conquer. If you have a friend attending, split up and attend different sessions and share notes afterwards. It's often said that you get out of events what you put in, if you plan and make sure you attend the sessions you target and get to speak to the right people you'll come away having had a valuable experience.